What is the tech industry’s responsibility to talent in the age of automation? Automation has already started to reshape every company's workforce, including yours. A few weeks ago McDonald's shares hit an all-time high, buoyed by Wall Street's expectations that investments in automation technologies will drive business value: As part of its "Experience of the Future" initiative, McDonald's announced plans to roll out digital ordering kiosks that will replace cashiers in 2,500 of its locations. The company will also extend its customer self-service efforts, deploying mobile ordering at 14,000 locations. Given McDonald's bold bet, where does your company currently stand in its use of automation technologies to transform your workforce and reshape customer experience? The forward march of automation technologies – which include hardware (e.g. robots, digital kiosks), software (e.g. AI), and customer self-service (e.g. mobile ordering) – continues to reshape the world economy. Automation has already started to reshape every company's workforce, including yours. Leaders across all roles, companies, and verticals are taking note. You may have read my previous article about my recent research on the future of jobs, whichcaught the attention of many business leaders when Forrester forecasted that automation will cannibalize 17% of US jobs by 2027, partly offset by the growth of 10% new jobs from the automation economy. 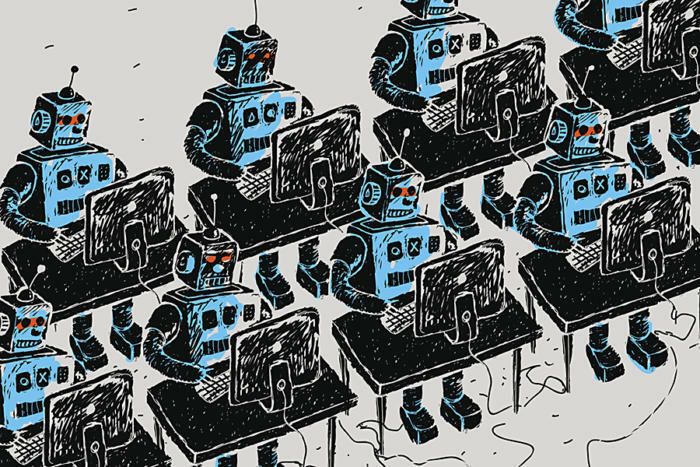 Most importantly, we see human-machine teaming as a key workforce trend in the future, as more and more human employees find themselves working side-by-side with robotic colleagues. To follow up on this research, I recently published a second report that digs deeper into the automation technologies, robotics and AI in the workforce that will reshape how work is done. As automation technologies become more prevalent, organizations need long-term strategic plans for their workforce. Why? For starters, companies face the new challenge of implementing and managing a mixed human/machine workforce. To navigate this world, they must understand the use cases and relative maturity of key technologies that will power this new era, then build a strategic plan to support long-term investments. There are five automation technologies that have proven to be more than just an idea – and all have received investments from companies like AWS, IBM and Microsoft. One of the five, AI solutions solving complex problems, will grow to $48.5B by 2021. An example in this category is that in 2000, Goldman Sachs employed 600 equity traders; Today, the investment firms employs only two – but has hired 200 computer engineers to support automated trading efforts. Automation technologies with longer histories are seeking reinvention, and three of the technologies I analyzed fall into this category. For example, while industrial robots have operated at scale since the 1980s, they’re now transforming due to current technologies and are working better with humans as a result. Because the AI and robotics technologies evaluated in this research are immature, enterprises must tread carefully. While some automation solutions -- like robotic process automation (RPA) or self-service kiosks -- have broad deployments to learn from, in other cases you'll be at the vanguard of inventing the future. But it's imperative to experiment now, because over the next five years, companies that fail to bring robots into their workforce will under-perform those that do it well. In the end, enterprises need to develop a strategic plan as automation technologies continue to change the workforce. To start, companies can benchmark their use of a wide variety of automation technologies against their maturity, tap into technologies they’ve not previously deployed (but that are making a big impact on other companies), and begin to develop their own 5-to-10-year strategic digital workforce transformation plan around automation. Interested in hearing more? Listen to Forrester’s ‘What It Means’ podcast where I discuss the future of jobs and how these technologies are changing the workforce. J.P. Gownder is vice president and principal analyst at Forrester with an expertise in devices and platforms. His research covers virtual and augmented reality, wearable computing, tablets, smartphones, robotics, and the devices and systems that power retail experiences, including digital signage, beacons, and mobile point of sales.